Eleven Israeli athletes were massacred in a terrorist attack. 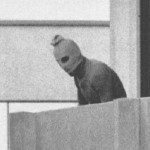 The beginnings of the modern phase of terrorism exploded into global consciousness on the morning of September 5, 1972, in the German city of Munich during the summer Olympics of 1972 that were being held there. 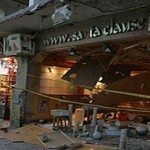 Early in the morning of that day, six days before the games ended, eight Palestinian terrorists broke into the residences of the Israeli athletes. They were dressed in sweat suits and their guns were hidden in athletic bags so for a short time no one noticed them. Before the day was over eleven Israeli athletes, one German policeman, and five terrorists were dead. The remaining three terrorists were taken into custody. In 1972, the summer Olympics returned to Germany for the first time since 1936 when Adolf Hitler was head of state with his extreme notions of racial purity. This attitude greatly shocked people at the 1936 event when he refused to congratulate a successful black runner from the United States because he thought that blacks, like Jews, were part of an inferior race. Everyone hoped that the Olympics in 1972 would help to remove the bad memories associated with Germany from Hitler’s time. However, six days before the end of the games, Palestinian terrorists killed eleven athletes. The terrorists attacked around 4:00 A.M., and two athletes were killed at the beginning of the attack while nine others were taken hostage. A long day of negotiating followed immediately after. The terrorists were in a hurry to get results and kept threatening to kill the hostages if their demands—the immediate release of two hundred Palestinians from Israeli jails—were not met. German police kept stalling for time and were able to let three of the terrorists’ deadlines for results pass without risking the lives of the athletes. Israel traditionally refuses to enter into any negotiations with terrorists and this was no exception. German authorities were in constant touch with the government of Israel throughout the day and knew that there would be no concession from the athletes’ home country. The Israeli authorities did immediately offer to fly in a group of their antiterrorist soldiers; unfortunately, the German government did not accept the offer. This was unfortunate because the German police on hand at the Olympic site were ill equipped to cope with terrorism. Late in the day, German authorities decided to let the terrorists take the nine hostages with them to Egypt. They were taken to the airport but, in a parallel move, the German police made preparations to free the hostages by force. Gunmen were stationed on roofs at the airport and they opened fire as soon as there was some space between terrorists and hostages. The tactic did not work. The gunmen were poor marksmen, they had no night lights, the Palestinians had shot out all the lamps around the area and, to make matters worse, the police thought there were only five terrorists, not the eight that were actually present. A free-for-all firefight broke out and went on for more than an hour. In the course of the fight, one Palestinian, knowing that he had been double-crossed, threw a grenade into one helicopter where five hostages were being held, blowing it up and killing all five. A second terrorist went into another helicopter that held the other four hostages and shot them. The final death toll was nine hostages, one policeman, and five terrorists. Three terrorists were taken into custody. The Olympic games were cancelled for a day, then resumed by the decision of the International Olympics Committee (IOC) President, a move that greatly angered many people all over the world. About a year later, while the three hostages were still in a German prison, some of their friends hijacked a German plane and demanded the release of the three. German authorities gave in and released the men. Israel took note and, over a period of time, hunted down and killed the three along with all but one of the others who had helped in planning the coup. Beginning with plans for the next summer Olympics in 1976, a new and much stricter approach to security began to appear. The IOC insisted on it and such security changes have been evident in all succeeding games. The new face of terrorism, however, did not change and soon the world at large learned that terrorism constantly changes its tactics and its locations, always with the same goal of securing a surprise event that will get global attention. The Pan American flight of 1988 was one of these surprise events. The flight left London’s Heathrow Airport on December 21, 1988, on a nonstop flight to New York. Less than hour after takeoff it exploded over Lockerbie, a small town in the south of Scotland, killing 259 passengers and crew and a further eleven people on the ground. Memories of the tragic fate of Air India 182 three years earlier were still fresh, so terrorism was the first thought on peoples’ minds. It was soon confirmed. At the time, terrorist cells from the Middle East were quite active and first suspicions focused on Iran. Earlier in 1988 the U.S. Navy, which was patrolling the Gulf, accidentally shot down an Iranian passenger plane, killing all aboard, so many assumed that this was a revenge attack. Wreckage from flight 103 was scattered over a wide area and the first task for investigators was assembling an army of searchers to scour the area for every fragment of the plane and its contents. It was a massive task and it took a lot of time. Within a few weeks an area of eight hundred square miles had been thoroughly searched and toward the end of that time the first significant clue came to light. Someone found a tiny piece of the bomb’s timer circuit board from a Toshiba radio-cassette player. Very few details were available to help find the places where these instruments were sold. Intensive worldwide inquiries were launched and these led to a European retailer but what followed was an even greater surprise. Most of the sales of the type of player found on Pan Am 103 had gone to government officials in Libya. The focus of the investigation suddenly switched to that country, one that was already well known for its support of terrorism. While the source of the Toshiba player was being investigated, the picture at the crash site was becoming clearer by the day. The container for the player that carried the bomb was found to be a solid-sided Samsonite case. The case had been loaded into a forward compartment below the cockpit and that meant it was put on Pan Am 103 at Frankfurt. The investigators now knew that the bomb must have been in the suitcase on a flight to Frankfurt on the day of the crash. Had Pan Am 103 not been delayed for about forty minutes at London, the bomb would have gone off over the ocean, making it almost impossible to get sufficient evidence to catch the criminals. A net was beginning to tighten on the terrorists. Security conditions at Frankfurt Airport on December 21 were anything but good. Despite evidence from the Air India tragedy, only three years earlier, and the new stringent regulations that had followed, passengers and baggage were not properly checked. The critical procedure of matching passengers with luggage was not followed. Whether or not the terrorists knew of this laxity at the airport, it was clearly easy for them to have a suitcase transferred to Pan Am 103 at Frankfurt without anyone accompanying it. The deadly suitcase traveled on a flight from Malta and was put on 103. No one seemed to know about the serious breach of protocol. The discovery of the Toshiba player and its connection with Libya was a key piece of evidence. It helped at a later time to convict one of the two terrorists involved, but the critical bit of information came along several months later. Searchers at the crash site found the manufacturer’s label from a baby’s jumpsuit and bomb experts identified it as having been inside the famous Samsonite suitcase. Further investigations traced this jumpsuit to a Maltese clothing manufacturer. There were also other fragments of clothing discovered at Lockerbie that, like the jumpsuit, came from the same location in the plane as the bomb. Investigators went off to Malta to search for answers. In Malta they had an extraordinary piece of luck, one of those things that happens frequently in television detective stories but rarely in real life. They found a store where the owner not only recognized the list of clothing items as having come from his shop but also remembered when the purchases were made. He explained it was easy to recall the details because they were so unusual. The buyer wanted a tweed jacket, umbrella, and a baby’s suit along with a few other things. He paid no attention to the sizes. The storeowner was particularly glad to sell the Harris Tweed jacket. It had been in the store for years because no one wanted it in Malta’s warm climate. The description of the buyer closely matched the man who was later convicted, Abdel Baset Ali al-Megrahi, a Libyan intelligence officer. The story gradually unfolded in 1989 and 1990. Al-Megrahi, aided by another Libyan national, a former airport manager for Libya’s Arab Airlines, booked in at Malta’s airport on December 21 for a flight to Frankfurt and checked his suitcase. Malta’s security was worse that Frankfurt’s and the high status of the two men, especially the airport manager, made it easy for them to bypass normal procedures. The role of the Libyan government quickly came into question. Few countries of the world have Libya’s strict central control. Nothing of any importance ever happens there without the personal knowledge of the country’s president, Colonel Moammar Gadhafi. In the view of many countries, if two senior Libyan nationals were involved, then others at the very top levels of government were also involved. Most observers were convinced that this was an act of state terrorism. British and American courts indicted the two suspects in 1991 and asked Libya to hand them over for trial in a Scottish court. Libya refused, so the United Nations Security Council, after making its own request of the same kind, imposed sanctions. Air travel to and from Libya and sales of arms were forbidden as part of the sanctions. Finally, in 1999, inspired in part by a desire to remove sanctions, the Libyan leader agreed to release the men. The United Nations Secretary General, accompanied by Nelson Mandela of South Africa, a longtime friend of Colonel Gadhafi, were key influences in persuading Gadhafi to release the men. They were able to arrange an internationally neutral site in Holland at which Scottish judges would conduct the trial. Gadhafi, as part of the arrangement to release the two men, was able to limit the scope of the trial so it focused only on the two men. No accusations against Libya or any other country were permitted. The trial in Holland went on for a year and on January 31 2001 the verdict was handed down. Al-Megrahi was found guilty, mainly on the circumstantial evidence of the Toshiba recorder and the clothing purchases in Malta, and sentenced to life in prison in Scotland. His fellow criminal was set free due to lack of evidence. Additional perpetrators of the bombing have yet to be identified and punished. Few believe that the two men who were indicted were the only terrorists. State terrorism was a common feature of several countries in the 1980s and Libya was one of these. Despite the sophistication of terrorist acts that had the support and resources of a state, the bombing of Pan Am 103 showed that persistent investigation and skill can find and convict the culprits. One outcome of this tragedy was the awareness by rogue states, as those who condone terrorism are known, of the high cost to themselves of their actions. A second outcome was a renewed determination by airport authorities worldwide to improve security. In 1986, the Nuclear Control Institute, in cooperation with the Institute for Studies in International Terrorism of the State University of New York, convened the International Task Force on Prevention of Nuclear Terrorism, comprised of twenty-six nuclear scientists and industrialists, current and former government officials, and experts on terrorism from nine countries. The report issued by the Task Force, along with more than twenty commissioned studies, remains the most definitive examination of nuclear terrorism in the unclassified literature. 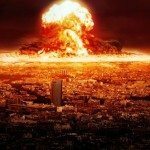 The Task Force warned that the “probability of nuclear terrorism is increasing” because of a number of factors including “the growing incidence, sophistication and lethality of conventional forms of terrorism,” as well as the vulnerability of nuclear power and research reactors to sabotage and of weapons-usable nuclear materials to theft. The Task Force’s warnings and its recommendations for reducing vulnerabilities, many of which went unheeded, are all the more relevant in today’s threat environment of sophisticated and suicidal terrorists dedicated to mass killing and destruction. There is now intense national and international attention to the risks of nuclear terrorism. The possibilities that al Qaeda might acquire the materials and the knowledge for building nuclear weapons or “dirty bombs” or might attack commercial nuclear-power facilities to trigger a nuclear meltdown, are of particular concern. The Nuclear Control Institute has been alerting the public and policymakers to these risks, seeking emergency measures to reduce the vulnerabilities, and monitoring and assessing the responses of industry, governments and international agencies. The role of terrorists in the history of disasters is different from all others in that it is a sustained activity over time, a deliberate destruction of people or buildings in order to raise awareness of a political problem and use the publicity generated to gain some political result. 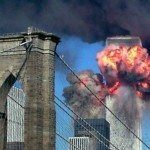 The destruction of the Twin Towers of New York’s World Trade Center (WTC) in 2001 and parallel atrocities represent the worst disasters of this kind ever experienced in the United States. They illustrate the worst features of terrorists’ methods and define in quite a new way the nature of those disasters we label as terrorism. The beginning of the attack on the Twin Towers was a pair of flights from Boston. Of course, this was not really the beginning. Such attacks actually begin in the ghastly, inhuman mindsets of the people who conduct acts of terrorism. They plan for years ahead of action, sometimes for decades and, as part of their preparations for this particular series of acts, they exploit the good natures of the U.S. citizens who assisted them as they took flight training in the United States. On September 11, 2001, American Airlines Flight 11 left Boston for Los Angeles with ninety-two passengers and crew aboard. Sometime shortly afterward, the plane was taken over by five passengers who were hijackers. Just before 9 A.M. the plane crashed into the upper floors of the North WTC Tower. Fifteen minutes later a second plane, United Airlines Flight 175, also bound from Boston to Los Angeles, hit the upper part of the South Tower. It too had been taken over by hijackers. The planes were flown into the buildings at full speed in what can only be compared to the kamikaze tactics used by Japan in World War II when young pilots crashed their bomb-laden planes into American ships. Flames engulfed the upper floors of both towers within moments and every branch of New York’s fire and rescue organizations sprang into action. It was a chaotic situation and they knew they faced a daunting task. The places where rescuers were needed most were above floor eighty and they knew that both electricity and elevators would soon be cut off there. Fortunately, there were only 14,000 people in both towers at the time of the explosions, far fewer than in an earlier 1993 attack. Later in the day there would have been three times that number. Those inside first experienced a gigantic blast and felt the towers swaying backwards and forwards. Sprinklers came on as electricity and lights went off. For a time, the elevators below the eightieth floor continued to operate and many were able to get into them. Fires started in different places, many of them triggered by aviation fuel, then sustained by the flammable materials in the offices. Thousands of pieces of glass, papers, debris, soot and ash, even clothing and body parts from the passengers who were in the planes, rained down on the streets below. Temperatures reached thousands of degrees in parts of the towers. For about an hour the main supports of the towers held firm, allowing many to escape. Fires, sustained by chairs, desks, and other flammables, raced up from the level at which the planes struck to the twenty or more floors above, steadily weakening the main steel supports. At these heights steel is thinner as the total weight to be supported is much less than at lower down. Finally there came a general collapse as the upper floors buckled and sides caved in. Like battering rams in ancient warfare, successive masses of thousands of tons of steel stomped on the floors below until they could no longer absorb the pressure. Both towers gave way in a cloud of dust. The noise of hundreds of thousands of tons of steel crashing down could be heard all over southern New York City as people ran from the scene as fast as they could. All public transportation had stopped. Among the most horrific of all the things that had to be endured was the sight of people jumping to their deaths from the top floors rather than be incinerated. The scale of destruction and the reckless indifference to civilian life rightly identified the event as war, a new kind of war, and subsequent actions in Afghanistan and elsewhere were in keeping with that analysis. First response by the U.S. government was to stop all flights at U.S. airports in case further attacks might be in process. Incoming planes from other countries were routed to neighboring countries. Canada, because of its proximity to the United States received most of these flights and for a time its airports were filled to overflowing. The pilots were not informed of the changes and were only told where to go. It was felt that unnecessary panic would be avoided by maintaining silence until the planes were on the ground. The towers had been designed to withstand an impact from a modern jet plane but not an impact that involved maximum speed and maximum amount of fuel. The flights that were hijacked were meant to fly to Los Angeles so they were fully loaded with fuel. Modern steel skyscrapers had never previously collapsed because none had ever been subjected to the levels of stress imposed on the WTC. It was feared at first that as many as 6,000 might have died within the towers. Later it became clear that the count was close to 3,000. Among them were 350 firemen who had climbed up into the towers to help. More than a million tons of debris had to be removed at a rate of 10,000 tons a day, so it took several months just to clear the site. Some of the individual pieces of steel weighed twenty-five tons. Excavators with a reach of 100 feet and cranes that could pick up as much as 1,000 tons were needed for the work. All of this debris had to be hauled by barge or truck to a landfill location on Staten Island. Nothing at this scale had ever previously been tackled and costs for the whole project soared beyond a billion dollars. The dangers from toxic materials at the time of the attack were largely ignored because more urgent matters commanded attention. All who were near the towers as they came down were covered with dust that came from fibrous glass, computer screens, asbestos, and a host of products that had been made from different chemicals. Spills of mercury, dioxin, and lead were all around. Some initial testing was done after a week and it showed levels of toxic chemicals as being below danger standards. Few of the local residents were satisfied with these results. They continued to wear masks and protective clothing. Before the full impact of the destruction of the Twin Towers was known across the country a third plane had hit the Pentagon in Washington D.C., and a fourth that many believe was headed for the White House, crashed in Pennsylvania when passengers, at the cost of their lives, fought the hijackers but were unable to take control of the plane. The type of terrorism represented by the destruction of the Twin Towers is the one we have seen again and again over the past forty years. The future may introduce the more terrifying types represented by biological elements and nuclear material. Peshawar is a city on the front line, only a few miles from the Taliban-held barren mountain badlands, the ill-defined border region between Pakistan and Afghanistan. Like all border cities, Peshawar is a cultural melting-pot: a city of smugglers and spies, traders and refugees, tribal factions and political intrigue. Afghanistan’s troubles have always spilled over the border, but recently northwestern Pakistan has become swept up in the turmoil of its neighbor – with a vengeance. The bombing of October 28 2009 was an unconscionable act of wickedness even by terrorist standards. A car exploded in a preserve of women and children: the women-only Peepal Mandi shopping street in the Meena Bazaar. The bomb was massive – 150 kg (330 lb) of explosives – and the blast could be heard throughout the city. It ripped through the congested alleys of the bazaar, where Peshawari housewives pass the time of day haggling with stallholders over piles of cheap fabric, costume jewelry and shoddy household goods. The explosion caused an inferno. Highly inflammable artificial materials in the garment stalls immediately caught light, melting into lethal fireballs; a two-storey building collapsed and a mosque and four other buildings were badly damaged. The dead and injured lay strewn in the rubble in a scene from the apocalypse: bloody-faced screaming infants, terror-stricken mothers, and everywhere the smell of burning flesh in the air. The emergency services failed to respond. The injured were ferried to hospital in rickshaws and taxis as there wasn’t an ambulance in sight; and when the police finally arrived, they started firing into the crowd to ‘restore order’. The attack was blamed on the Taliban, but they countered with accusations that it was the handiwork of American or government undercover agencies, designed to foment disgust with Islamists; or it could even have been a personal vendetta that went tragically awry. Death toll: More than 100 died and over 200 were injured, mostly women and children, in the deadliest terrorist attack in Peshawar’s history. 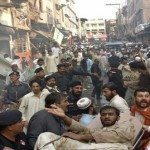 You should know: Since 2007 a wave of terror bombings has engulfed Pakistan; they have become so commonplace that news of them scarcely registers in the Western media, in 2007 there were 18, rising to 25 in 2008 and more than 40 in 2009.2010 got off to a horrifying start: there were nine bombings in January alone. The world gawped in horror as the media transmitted rolling news of a terrorist rampage through the streets of Mumbai. The commercial hub of South Asia is no stranger to terrorism and, as the state elections approached in November 2009, the security services were well aware that there was likely to be a display of violence from one or other of the fanatical Muslim organizations intent on ‘liberating’ Kashmir from India’s governance. But nobody could ever have anticipated the sheer gall of the attack: ten suicide terrorists, armed to the teeth with high-explosives, grenades and AK-47 assault rifles, attacked Mumbai from the sea. 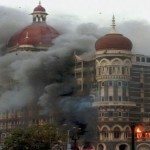 Their mission was to blow up the tower of the Taj Mahal Palace & Tower, Mumbai’s most prestigious luxury hotel, in an oriental version of 9/11. The reign of terror lasted for three days, orchestrated from thousands of miles away in Karachi using satellite-phone technology to relay orders that kept the Mumbai police on the hop. After landing on the beach in inflatable boats at the southern tip of the city, the terrorists split up and, as instructed, headed for carefully chosen high-profile targets – the Taj Mahal Palace, the nearby luxury Oberoi Hotel and exclusive Leopold Restaurant, the main railway station, a hospital and a Jewish community centre – where they rained bullets on terrified members of the public, hurled grenades and held hostages. The rampage ended with the deaths of all but one of the terrorists. He confessed that he had been recruited by Lashkar-e-Taiba, a militant Islamist organization whose avowed aim is simple, if crazed: to wipe out India and all Jews everywhere, and create an Islamic state out of the disputed territory of Kashmir. Pakistan at first vehemently denied any connection, but reluctantly had to admit that the terrorists had sprung from Pakistani soil. Death toll: At least 173 killed and 308 injured; nine of the ten terrorists also died. You should know: The single surviving terrorist – 21-year-old Mohammed Ajmal Amir – shocked his interrogators by his willingness to swap sides: ‘if you give me regular meals and money I will do the same that I did for them’. A village boy and petty criminal whose parents couldn’t afford to send him to school, he’d joined Lashkar-e-Taiba not for any religious convictions but because he thought it would be exciting to learn how to use a gun. The three suicide bombs that blew the heart out of Dahab in April 2006 were the third set of triple bombings in 18 months; 34 victims had died at Taba in October 2004, and 88 were killed and more than 200 injured at Sharm-el-Sheik in July 2005. Each time visitors thought it was safe to go back into the warm water of the Red Sea, the Egyptian shore resorts of the Sinai Peninsula became the focus for attack by Egypt ’s home-grown Wahhabi Islamic extremists. They weren’t the only targets. Attacks in Cairo in 2004 and 2009 killed fewer people, but were just as effective at frightening off tens of thousands of free-spending visitors. After 1997, when 58 foreign tourists and their four guides were shot by Islamic terrorists as they walked from their bus to the noble ruins at Luxor, even the wonders of the pyramids seemed somehow diminished. After Luxor, Egypt’s tourist trade almost collapsed. It recovered slowly while the forces of Islamic extremism concentrated their malign ascendancy elsewhere. Egypt depends on tourism as one of the cornerstones of its economic survival. Unfortunately, its benefits barely reach the impoverished rural communities where Egypt’s version of fundamentalism flourishes – the very communities who don’t forgive Egypt for signing a peace treaty with Israel, and for whom the nation’s secular regime is a daily affront to their ideology. Dahab turned personal tragedies into national disaster. Tourists – Russian, American, British, French and even Egyptian – were by definition infidels who deserved their fate, and so they died. And now Dahab has forced Egypt to abandon its secularly in all but name and seek compromises with the religious zealotry that has sought the state’s destruction. Death toll: 23 dead and 62 wounded, including many Egyptians and people from at least ten other countries. The bombers were believed to come from Bedouin communities of the Sinai with known extremist sympathies and loose connections to al-Qaeda. You should know: Egypt’s tourist trade suffered badly, though it has proved amazingly resilient despite further attacks. Dahab inspired an unprecedented level of security measures at resorts and tourist sites – in itself a demonstration of the bombings’ worst outcome. It seriously weakened Egypt’s role as a leader among Arab nations, by making it impossible for the country to pursue its relatively quiet, laisser faire accommodations with its neighbors in Palestine, Israel, and the Arab world.